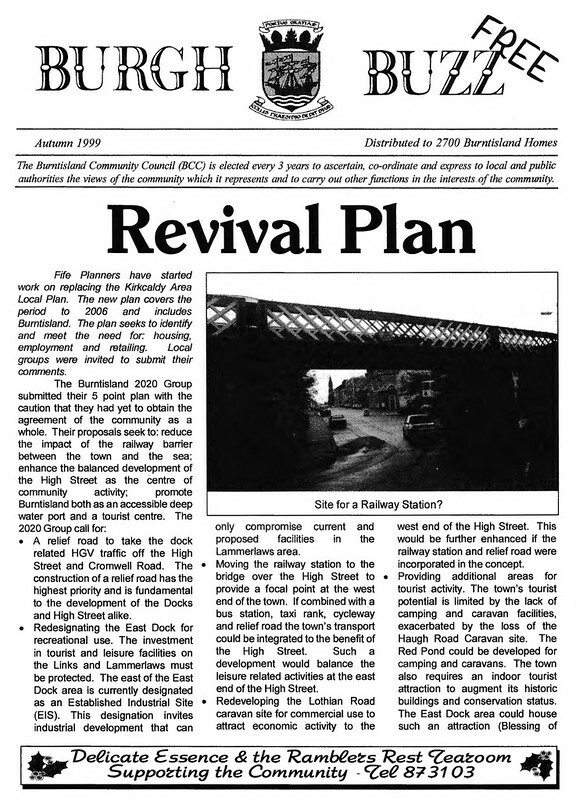 Last year’s bid by the Burntisland Station campaign group (a sub-group of the Burntisland Community Development Trust – AGM tonight) has been unsuccessful. This will not be a surprise to the campaigners, some have been campaigning for more than eight years. This is a UK fund organised by the DfT and Network Rail every five years. The latest list of stations has been announced today. £300 million is being spent across the UK over the next 5 years on 73 stations. 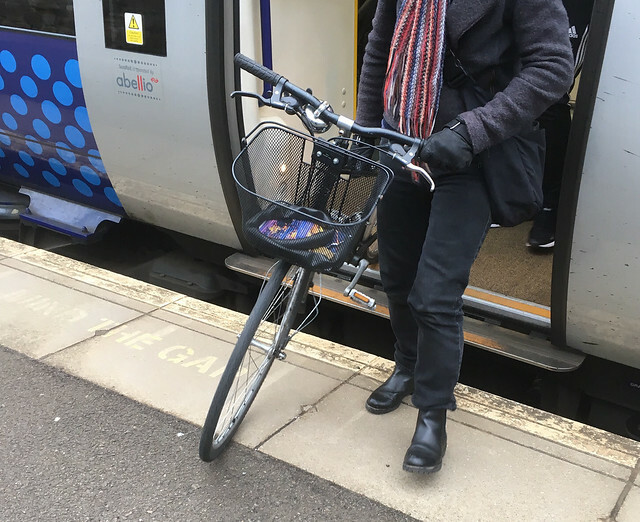 In Scotland 6 stations will be improved – Anniesland, Croy, Dumfries, Johnstone, Port Glasgow, and Uddingston. The process in Scotland is semi-devolved with ScotRail and Network Rail drawing up their preferred list of stations which is then agreed by Transport Scotland and forwarded to the Scottish Transport Minister for confirmation and sending to London. Transport Scotland has to follow DfT guidelines, which include station “footfall” – the number of passengers – and whether there is a hospital nearby. Some stations have had significant improvements as part of electrification e.g. West Calder. (Passenger numbers – Burntisland 2017/18 Increase 0.231 million, West Calder 2017/18 Decrease 0.129 million). 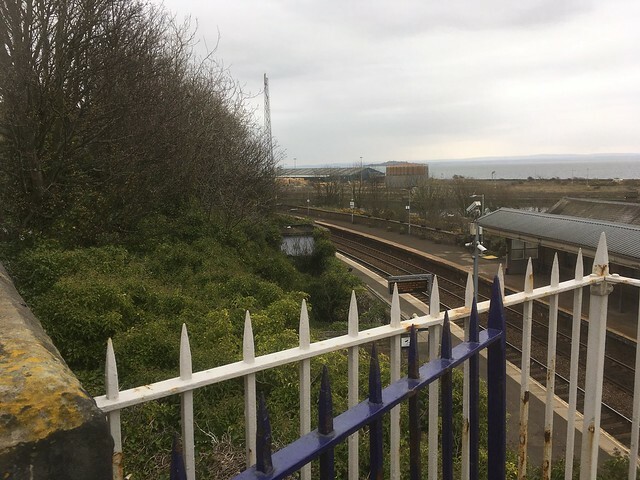 In the past, railway organisations have said that Burntisland will have access to Platform 2 improved ‘when the line is electrified’. There was the added implication that this would be ‘soon’. There is still no realistic prospect of it happening. It was clear that Transport Scotland wasn’t going to recommend Burntisland, so the local group decided (in accordance with published rules) to send their own bid directly to the DfT. There is little likelihood of Burntisland getting Access for All funding in five years time unless the rules are significantly changed. It is also clear that local people and politicians will not sit back and wait for another five years to pass. A recent meeting called by MP Lesley Laird brought together various campaigners and politicians (with apologies from others). A range of ideas and possibilities was discussed. A fear was expressed that the station could be further run-down and closed. This seems unlikely, there is generally a trend to open stations rather than close them. The idea of moving the station was discussed as a way of improving access ‘perhaps more cheaply’ than the figure of £2.7-3 million that Network Rail likes to conjure up. Station relocation was aired twenty years ago and, obviously, not developed. The big block to progress is Network Rail. It maintains a ‘too difficult/expensive’ mantra. The only ‘solution’ it seems willing to offer is two lifts and a new bridge, which would be expensive and might well be more than the guesstimate of £3m because of the difficult access for cranes. NR also say the East Coast Main Line to Aberdeen would have to be shut to allow the work to be done, which would mean extra costs. Some people think the ‘simple’, ‘low cost’ answer is to reopen the underpass. This was apparently closed because ‘it attracted anti-social behaviour’. It has been said that reusing it is impossible as it ‘wouldn’t be DDA compliant’ (this act has been replaced). 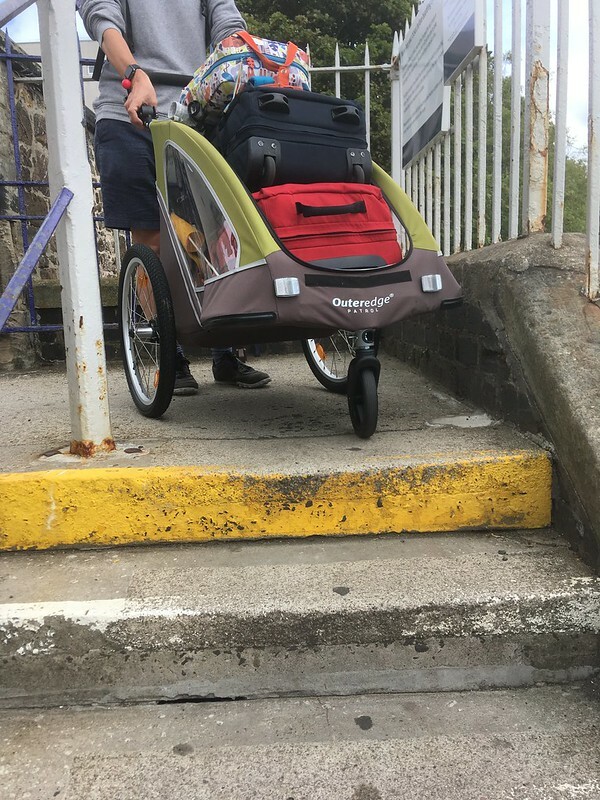 Apparently the underpass is too narrow, in places, for two wheelchairs to pass and the ramp up to platform level is steeper than the 1 in 20 (with resting places) of modern standards. One theorical solution is a lift from Platform 2 down to the level underpass. Unfortunately the exit is not particularly attractive or convenient. 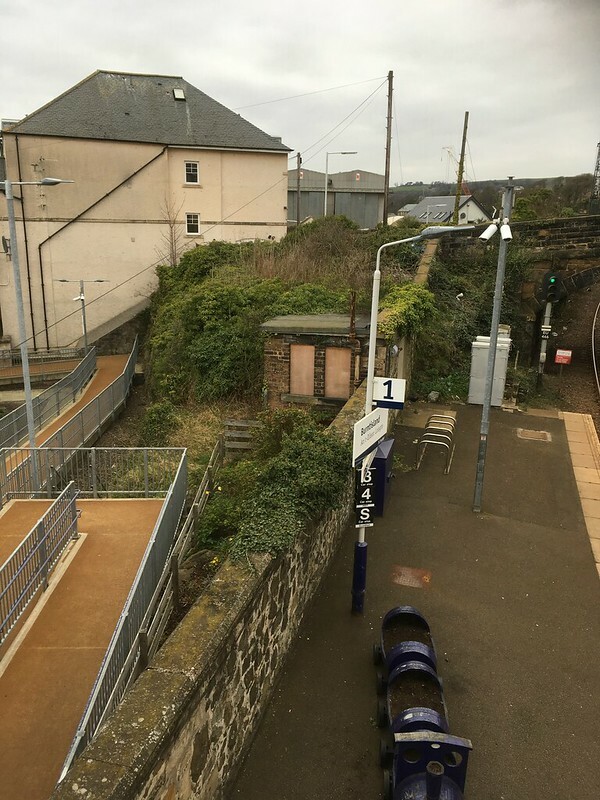 Another option which doesn’t seem to have seriously explored or costed is a set of ramps from the platform to West Leven Street (there used to be steps). There seems to plenty of room. It might mean demolition of the waiting room (which could be replaced), but it’s currently only open for very limited hours. In addition a shorter ramp might be possible from the existing metal ramp to Platform 1 up to South Hill Street which would create a reasonably convenient step free route between platforms. The good news from today is – “In addition to these significant upgrades, we intend to use £20 million of the funding to re-launch the Mid-Tier Access for All programme. This will be focused on stations where accessibility improvements can be delivered with between £250,000 and £1 million of government support. Currently There is a fund (first introduced last year) to pay for feasibility studies. Local Rail Development Fund. At the Lesley Laird meeting there were 5 Community Councillors, perhaps this is the best body to investigate the possibilities and apply for funding and maybe make some real progress in the next couple of years. “A Department of Transport spokesperson said the stations had been selected following nominations from the rail industry. “We assessed them against annual footfall, weighted by the incidence of disability in the area, and also took account of local factors such as nearby hospitals and the availability of third party funding,” the spokesperson added.